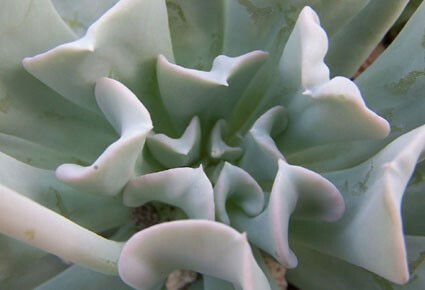 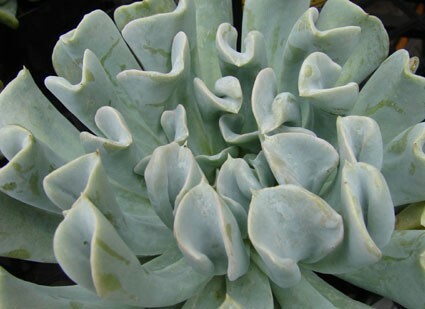 Frilled rosettes of fleshy crested-edged leaves with gray glaucous pearly surfaces distinguish this as the "Topsy Turvy Plant" because the alabaster leaves look as if they are tightly packed upside down into a tight ball--like an ivory football mum! 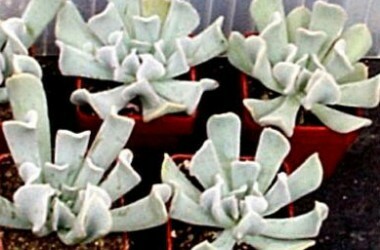 Full sun brings out the best pearly toned surface and encourages the mid-winter wands of peach toned blossoms. 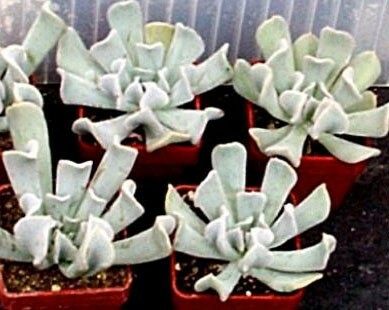 Looks quite complicated, yet easy to grow with adequate light.